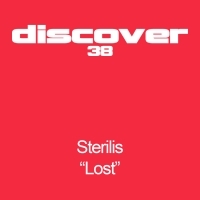 Discover bring you another slice of driving trance with this three mix package inspired by Discover debutant Sterilis. Those of you familiar with Johan Ekmans Timeless will already know Charlie Brown as he did an excellent remix of that track. Michael Angelo and Jim do themselves equal justice with their interpretation and the Original Mix completes the package in fine style. 'Lost' is available now from Beatport and iTunes.